[00:49:46] <XXCoder> hey CaptHindsight ? [01:13:47] <CaptHindsight> http://hackaday.com/2013/10/17/unorthodox-home-made-cnc-machine/ nothing quite smells of quality like fresh PVC for CNC! I think we need to have a contest for the worst CNC machine designs. [02:13:22] <XXCoder> CaptHindsight: got good link on how to repack blocks bearings so all runs smoothly? [02:19:36] <CaptHindsight> XXCoder: are they sealed bearings? [02:19:59] <XXCoder> maybe I used wrong word. things that move up and down rails? [02:20:21] <CaptHindsight> are they crunchy? [02:20:50] <CaptHindsight> what type or rail round supported or prifile? [02:22:03] <XXCoder> so I just remove balls and clean then grease? [02:22:13] <XXCoder> also any specific type of grease? [02:22:30] <CaptHindsight> there's nothing to remove, do yours have grease fittings? [02:25:08] <XXCoder> probably why some is "crunchy"
[02:52:45] <XXCoder> too bad I couldnt get close enoigh to take a good look. [04:27:57] <FrankZappa> not all types of greece are the same some greece's incompaytible because the EU austerity measures have detrimental impacts on the strength of the economy. [14:50:44] <CaptHindsight> http://www.youtube.com/watch?v=XX8JG1tqEM4#t=97 hhmm would a structural engineer really build a machine this poorly? [14:52:51] <CaptHindsight> http://3dprintingindustry.com/2014/05/14/3d-printing-home-rudenko/ ah explains it "a contractor with a background in architecture and engineering"
[14:57:31] <mazafaka1> 'structural engineer...' isn't this just a part of the education? [14:58:20] <mazafaka1> To be honest, the hardest in my life was to confront with legislative norms during car rebuild. [15:00:55] <mazafaka1> Had to as wether I have a right to mount some tools for off-roading under the bonnet, answer was 'yes'--but I will need to register this changes in a specified order, involving some on-line writing with photos to the special organisation. [15:02:45] <CaptHindsight> mazafaka1: what country was this in? [16:45:06] <gene78> ok, I'll bite, where have the trig functions (sin-cos-tan etc) gone in 2.5.4? [16:55:31] <archivist> IchGuckLive, can you remember the url for that gear company over there? [17:28:44] <balestrino> i'm going to check. But why limit the tool table? [17:34:59] <Connor> WooT, got me ER20 Collets in today. [17:35:17] <balestrino> Norbert of gmoccapy has ever been on IRC? [17:36:34] <Connor> IchGuckLive: $5.00 USD each for mine. [17:38:00] <Connor> and come in clear tubes with yellow endcaps.. I don't think these are Chinese. [17:39:41] <Connor> and they have a mark on the labels O < .008 then < has a line under it..
[17:39:56] <Connor> I think that's the tolerance for the collet size ? [17:40:06] <Connor> not the run-out..
[17:50:52] <Connor> So, Those are good then ? [17:53:00] <Connor> OKay.. What am I looking for ? [18:13:43] <CaptHindsight> where do they hide the prices on that German worm gear site? [18:14:19] <CaptHindsight> zeeshan: what are you really looking for? why overpower? [18:14:44] <CaptHindsight> are you getting flicker? [18:21:08] <pcw_home> LED ring light? [18:24:32] <CaptHindsight> are you illuminating a large area? [18:33:59] <CaptHindsight> can you measure your distortions using the shadows? [19:01:15] <zeeshan-laptop> are smd led much brighter than the tradiational leds? [19:02:15] <zeeshan-laptop> that smt leds seem to be brighter? [19:05:04] <zeeshan-laptop> but in a square format? [19:05:54] <zeeshan-laptop> archivist: is that the keyword i should search? [19:13:35] <zeeshan-laptop> 3.5A constant power? [19:13:53] <zeeshan-laptop> CaptHindsight: help me find it! [19:20:47] <zeeshan-laptop> 16" x 11"
[19:22:08] <zeeshan-laptop> thank you for your help! [19:27:07] <Tom_itx> do those come with the sealed housing? [19:27:40] <Jymmm> Tom_itx: The apex case you have, can a SDD be mounted directly to where the FDD would go or o do oyu need an adapter? [19:30:14] <Jymmm> Tom_itx: did you use an adapter to mount it? [19:37:44] <Jymmm> Tom_itx: is there a fan anywhere? [19:37:54] <Jymmm> Tom_itx: in the PS ? [19:38:17] <Jymmm> the PS does have a fan? [19:40:33] <CaptHindsight> http://www.newegg.com/Product/Product.aspx?Item=N82E16811119286 just FYI, these have lots of room and work well, I can also fit a 2nd power supply and 3-axis stepper driver for all in one. [19:42:38] <Tom_itx> does it come with a PS? [19:43:49] <Jymmm> CaptHindsight: does the front open like a door? [19:43:58] <Jymmm> CaptHindsight: can you mount a 120m fan in there? [19:44:16] <Jymmm> CaptHindsight: does that use a atx PS? 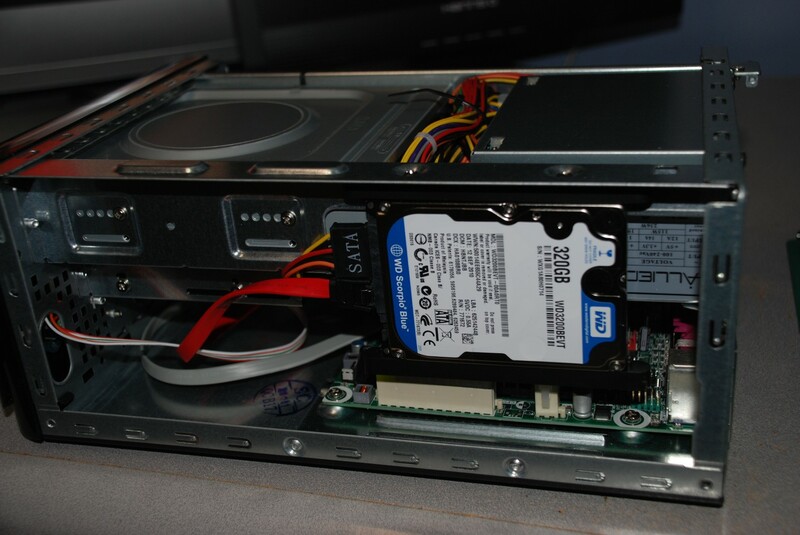 [19:48:40] <Jymmm> CaptHindsight: how can it fit 3x HDD ? [19:50:25] <CaptHindsight> use two larger 1.5x drives? [19:50:41] <Jymmm> LOL, no it says that it can, I just can't see how. 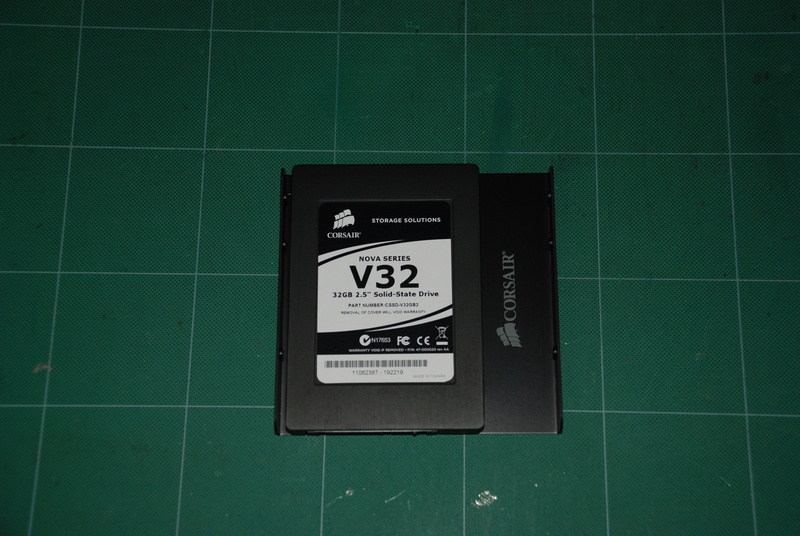 [19:53:35] <Jymmm> Tom_itx: Is this a 3.5 or 2.5 hdd? [20:16:16] <CaptHindsight> wasn't there a small one there last year? [20:53:11] <Connor> Building a tool rack for my TTS tools.. what sort of spacing do you think I need ? [20:54:10] <Einar1> Varying. Equal spacing enough to hold the biggest tools is a waste of space. [20:55:07] <Connor> I don't think I'll have anything super large.. maybe a drill chuck. [20:55:21] <Einar1> Or a slitting saw? [20:55:45] <Connor> I don't think I would leave the blade on a slitting saw..
[20:55:52] <Connor> Probably just keep the arbor..
[20:57:09] <Connor> Adding a shelf to go under the PC. I'll have 17.5" x 26" area to work with.. Would like to keep my most used tooling on it..
[20:57:33] <Connor> not sure if I want to make the shelf solid and make some sort of rack that goes on it.. or just bore holes in the shelf itself. [22:28:34] <andypugh> Connor: Do you have a big face mill? [22:28:49] <andypugh> You can always just ignore the space next to it if you do anyway. [22:30:28] <andypugh> You probably want a home for the spare ER20 collets too. [22:47:16] <PCW> what component is missing? [22:50:10] <andypugh> JT-Shop: You may be able to call hal_pin_new directly in the EXTRA_SETUP function. [22:50:49] <JT-Shop> and it will retain the _ ? [22:51:26] <andypugh> Yes. Otherwise how would the original pin names have got there? [23:01:50] <PCW> deMimsy: step/dir or servo machine? [23:08:55] <PCW> with encoder feedback? [23:11:09] <PCW> does the encoder read correctly? [23:13:28] <andypugh> deMimsy: -X in Axis ought to work. Is it possible that you are editing the wrong config file. Not that I have /ever/ done that. [23:18:10] <andypugh> you need to be a bit careful with the indirection. I am not sure if the component always has to be a singleton. As the example uses “variable *name” for the manually-created pin I think it is actually probably OK.
[23:18:50] <deMimsy> So this page (http://www.linuxcnc.org/docs/2.4/html/config_ini_config.html) notes that the Geometery field has no effect without a rotating axis, I only have the X, Y, and Z axis enabled in trajectory. Do I need an A,B, or C axis as well? [23:19:31] <PCW> deMimsy: what is it you are trying to do? [23:21:56] <andypugh> G10 L10 R180 ? [23:24:42] <andypugh> G10 L2 P1 R180 just did what you might want for me. [23:25:03] <deMimsy> did you run it as an mdi command? [23:26:01] <andypugh> The cursor keys still move the tool as expected, but the numbers go the other way. [23:34:58] <deMimsy> andypugh, aright, ran it on my system and it seems to do exactly what I need, thanks!!! [23:36:09] <andypugh> I am not sure, and you would need to check that it has the right effect as far as G-code motion is concerned. [23:36:10] <deMimsy> but thank you so much! [23:39:23] <andypugh> Not knowing why you want what you seem to want it is hard to tell if coordinate rotation is the real answer.